In the 1990s, Los Angeles was home to numerous radical social and environmental eruptions. 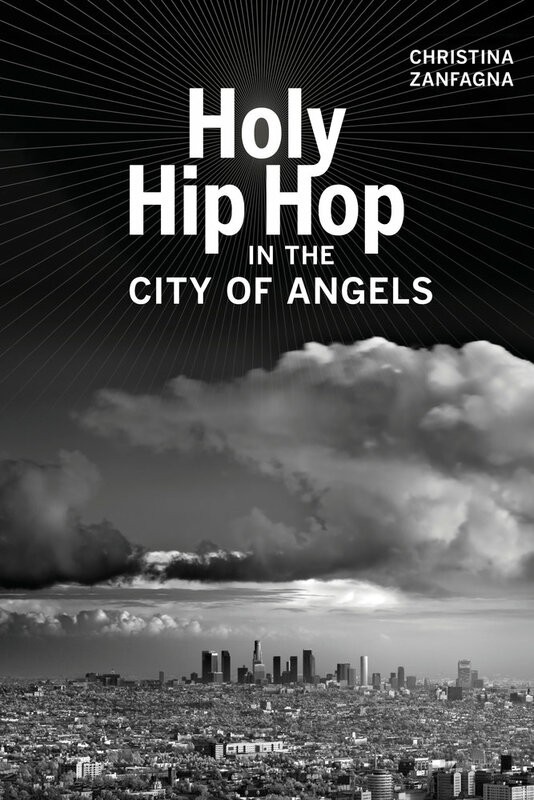 In the face of several major earthquakes and floods, riots and economic insecurity, police brutality and mass incarceration, some young black Angelenos turned to holy hip hop—a movement merging Christianity and hip hop culture—to “save” themselves and the city. Converting street corners to open-air churches and gangsta rap beats into anthems of praise, holy hip hoppers used gospel rap to navigate complicated social and spiritual realities and to transform the Southland’s fractured terrains into musical Zions. Armed with beats, rhymes, and bibles, they journeyed through black Lutheran congregations, prison ministries, African churches, reggae dancehalls, hip hop clubs, Nation of Islam meetings, and Black Lives Matter marches. Zanfagna’s fascinating ethnography provides a contemporary and unique view of black LA, offering a much-needed perspective on how music and religion intertwine in people's everyday experiences. Christina Zanfagna is Associate Professor of Ethnomusicology and Ethnic Studies at Santa Clara University.